Immaculate White Sand Beaches, Adventure and Art! 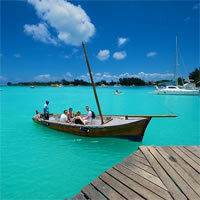 Step into the magnificent coastlines of Seychelles or Mauritius and enjoy its majestic seascape and breath-taking views. These places provide leisure activities blessed with sunshine, trade winds and endless beaches. For those who want to follow the current travel trends, look no farther than our best-selling itineraries and get inspired! 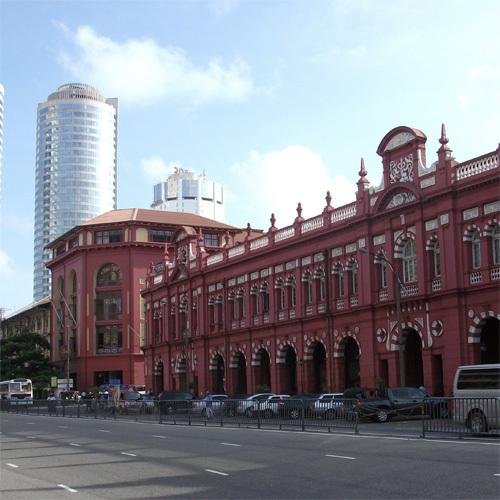 Colombo is the largest city and the cultural capital of Sri Lanka. It is located on the southwestern coast of the island just south of the Kelani River. It features a tropical wet climate with breathtaking sceneries and beaches. The city offers historical monuments, colonial architecture, festivals and events, fine dining, and shopping. Visiting Colombo is indeed a unique experience. Sri Lanka Holiday Escape. Combine Colombo, Galle and Bentota with transfers between cities included. Enjoy these three tourist destinations! Fly into Colombo,the main city of Sri Lanka and visit Galle Face Green Promenade, a green space in the middle of the major city; Sambodhi Chaitihya, a beautiful temple built on top of two impressive intersecting concrete arches. Then fly to the marvelous city of Mahe Island, the largest island of the Seychelles. Immerse yourself into this vibrant and lively place. Here visitors will find a wide range of breathtaking white sandy beaches, do not miss to experience spectacular sunsets of the beautiful beaches and amuse your stance here! 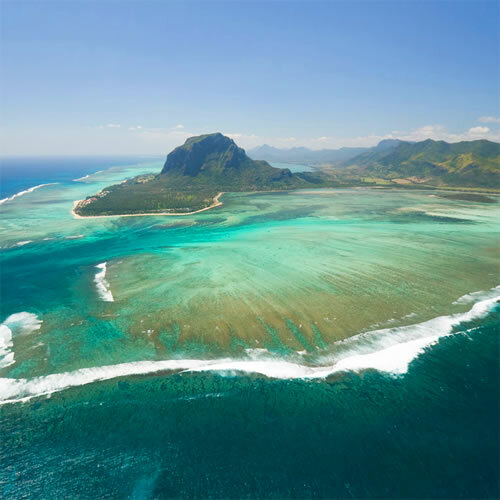 Last but not least, fly to Mauritius, a volcanic island known for its beaches, lagoons and reefs! Here you will be able to practice different water sports, visit les 7 Cascades, and enjoy Ile des Deux Cocos or Federica Nature Reserve. Dubai and Mahe Island Highlights! Explore Delhi, discover their enchanting attractions visiting magnificent structures such as Lotus Temple and India Gate. Up next is Goa, one of the most relaxing places in India. Visit really interesting places such as Ancestral Goa Temple and St. Francis Church. Then fly to Colombo, main city of Sri Lanka and visit Galle Face Green Promenade, a green space in the middle of the major city. 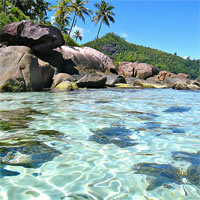 Last but not least, fly to the marvelous city of Mahe Island, the largest island of the Seychelles. Here visitors will find a wide range of white sandy beaches perfect for snorkeling and swimming, do not miss the chance to experience spectacular sunsets! Dubai and Mahe Island Highlights! 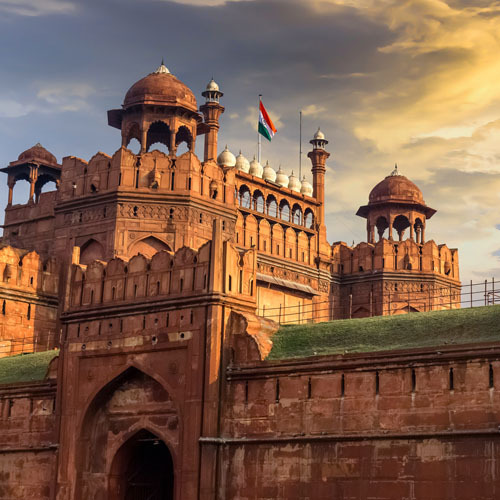 Explore Delhi, discover their enchanting attractions visiting magnificent structures such as Chandni Chowk Market, one of the oldest and busiest markets; Humayuns Tombs; Lotus, one of the most visited buildings in the world; and the India Gate. 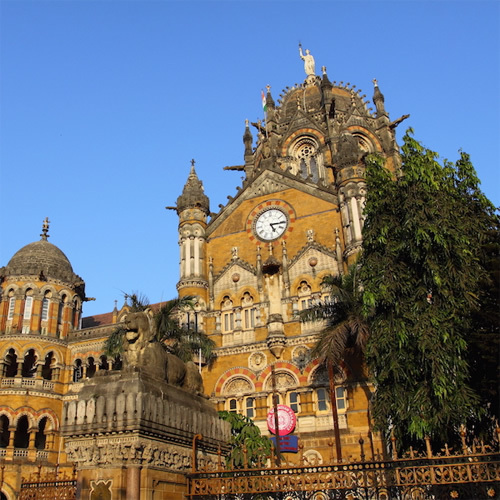 Up next fly into Mumbai, an interesting and traditional city where you can find The Elephanta Island, a UNESCO world heritage; Haji Ali Dargah, one of India’s most famous and prestigious landmarks; Red Fort and more. Then fly to Colombo, main city in Sri Lanka and visit Galle Face Green Promenade, a green space in the middle of the major city; Sambodhi Chaitihya, a beautiful temple built on top of two impressive intersecting concrete arches; Train Station, a major rail hub in Sri Lanka; Seema Malaka Temple, which contains Buddha Statues. Last but not least, fly to the marvelous city of Mahe Island, the largest island of the Seychelles. Here visitors will find a wide range of beaches, such as Grande Anse Beach, this breathtaking beach has a wide variety of colorful fish; experience spectacular sunsets of the beautiful beaches and amuse your stance here! Combine Singapore, Colombo and Kuala Lumpur with flights between cities. Hot List of Cosmopolitan Cities! 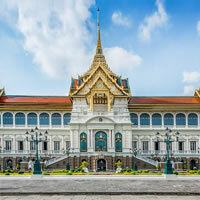 First arrive in Bangkok, known as "the city of angels", packed with fascinating temples and palaces, vibrant nightlife, delicious food and a wide range of shopping options. 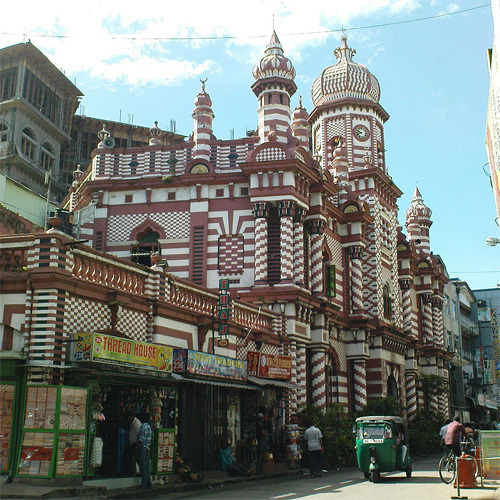 Up next is Colombo, a melting pot of old and new. You cannot miss visiting its amazing temples and buildings as well as the beautiful Galle Face Green Promenade. Finally fly into Dubai to bring this amazing trip to its end, this exciting city provides a host of attractions and activities from desert safaris to shopping options. You cannot leave Dubai without visiting Palm Jumeirah, a man-made archipelago featuring shopping malls, luxury beach resorts and a myriad of activities. This is a truly unique experience you won't want to miss. Three top destinations to visit! First arrive in Singapore, an ultra-modern city of soaring skyscrapers! Visit here Marina Bay Sands, which is an integrated resort fronting Marina Bay, it is billed as the world's most expensive standalone casino property; then go to Raffles Place, located in the Downtown Core and the Central Area which features some of the tallest buildings and landmarks of the country. Combine this exciting getaway flying into Colombo, with a rich colonial heritage and packed of mansions, lush gardens and fine dining options, do not miss visiting Galle Face Green Promenade, Sambodhi Chaitihya and Seema Malaka Temple. Last but not least is Mahe Island, the largest island of the Seychelles. Here visitors will find stunning beaches such as Anse Source D'Argent which is one of the most popular and Anse Major, well-known for its snorkeling and swimming. A melting pot of cultures! 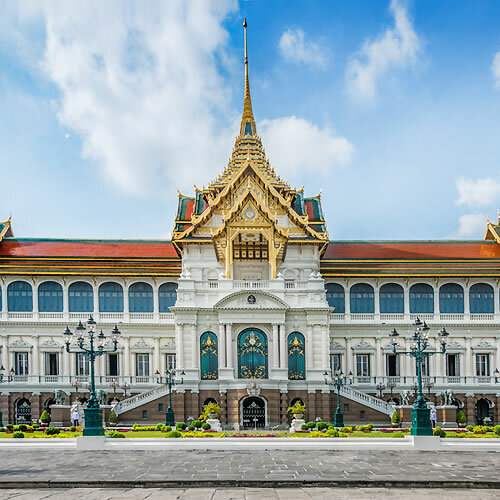 Begin this incredible experience flying into Bangkok, filled with stunning temples and palaces such as the Grand Palace, a must see for any tourist who comes to Bangkok. Here visitors will be able to see magnificent Buddhist temples including Wat Phra Kaew, Wat Pho, and Wat Arun. Enjoy a filling morning adventure and take a longtail boat through countless floating markets. Do not miss enjoying its exotic food, famous and exciting nightlife, and a vast array of shopping. Combine this experience flying into Colombo, a city of contrasts with a rich colonial heritage reflected in its architecture. Discover the best tourist attractions such as St Anthony's Church, St Lucia's Cathedral and St Peter's Church. 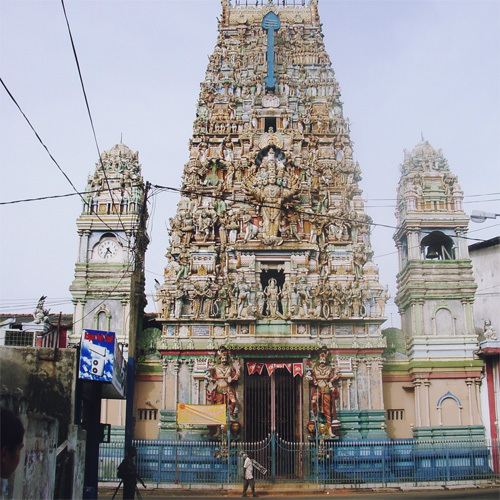 Visit the Gangaramaya Temple which is one of the most important Buddhist temples or enjoy a relaxing day walking along Galle Face Green, a beautiful promenade overlooking the Indian Ocean, here visitors will be able to enjoy amazing sunset views. Last but not least is Singapore, one of the most sophisticated tourist destinations, offering an array of sightseeing attractions, high-end shopping malls and luxury hotels. Do not miss visiting the National Gallery of Singapore, the Orchard Road shopping area, and Marina Bay Sands, an integrated resort with the world's most expensive casino fronting Marina Bay. Combine Colombo, Bangkok and Phuket with flights between cities. City of contrasts, World class city and Fusion of East and West. Fly into Colombo and discover such an enygmatic and colourful assortment of races, religions and cultures, marvel at this authentic city of "old and new" and sightsee The Gangarama Vihara that is one of the most eminent temples in the country, then stop at Seema Malaka which is a floating temple that inspires mediation; do not miss visiting the National Museum or "Ape Gama" Cultural Village, and many more tourist attractions this unique city has to offer. Combine this exciting adventure flying into Kuala Lumpur and get impressed by many of its interesting attractions such as the stunning PETRONAS Twin Towers and Menara Tower, Merdeka Square, well-preserved mosques such as Jamek Mosque and Kota Kinabalu and stunning temples including Khoo Kongsi and Sri Mahamariamman, another place you cannot miss is Chinatown which offers a vast array of incredible shopping opportunities. Finally fly into Penang, known as the pearl of the orient, sightsee this exotic destination, famous for its soft sandy beaches of Tanjung Bungah, enjoy wonderful local dishes, marvel at The Streets of George Town which offers magnificent architecture and sights from colonial past, then move onto Penang Hill to see some of the splendid colonial mansions; Tropical Spice Garden, the Snake Temple, KOMTAR and modern shopping malls also merit a visit.